We went and walked a couple miles along the Rimrock this afternoon. There are several nice trails up there with great views of the city (Billings, Montana). 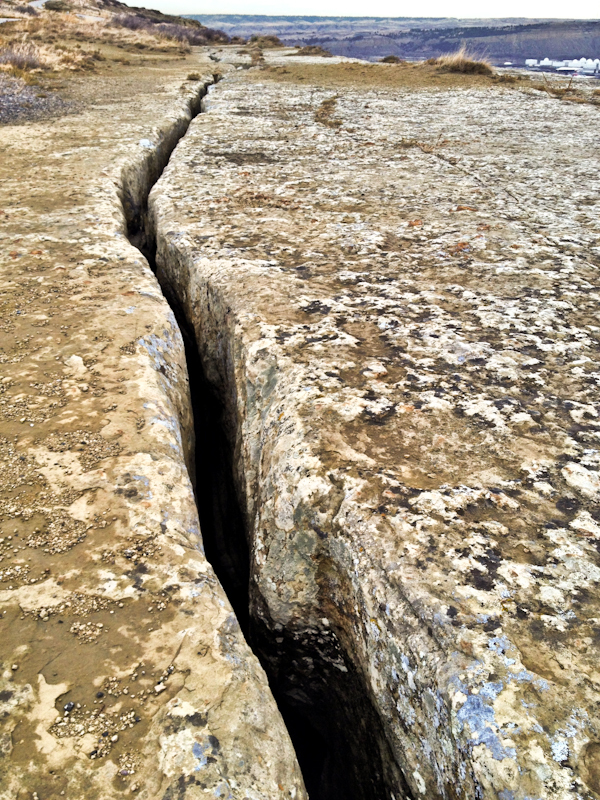 The light was kinda crappy so I didn't really get any good city shots, but I did take a photo of this nice huge crack in the rock! Reminds me about the story I read the other day somewhere in Billings news when I was researching something else about a part of the rimrock that fell onto a house a year or two ago. Eek!! Wouldn't THAT be a bummer?